Neil launched http://passive.marketing in 2013 in an effort to document his journey from escaping the 9 to 5 grind to earning a full time living from the internet. 6 months later, his first blog was earning more than his retail job which he decided to quit and focus on blogging. These results are not typical, but this book will go over the complete steps to setting up a profitable authority site which you can use to creating your first website and earning supplemental income. This book is written for people who are looking to start blogging and those people looking to create a website. It will also be helpful to those who are already blogging but not making money from their efforts. If you are looking to start a website and get rich overnight, look elsewhere. You will need to be dedicated and work hard to achieve desirable results. 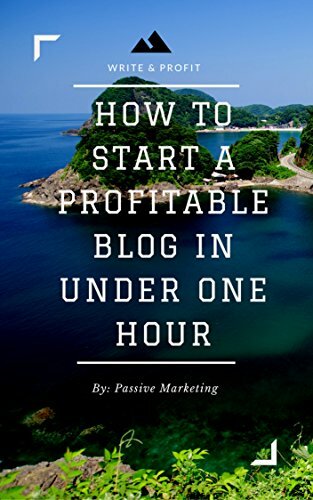 While this book gives valuable information to those who are already making money blogging, if you making thousands of dollars a month, it was not written for you and might move a bit slow. How to Find a Profitable Blog Topic Idea: How to Blog and Generate Profitable Blog Topic Ideas. This is the Kindle version of How To Start A Profitable Authority Blog In Under One Hour: Write About What You Love, Create A Website, And Make Money that you can also download and read on your computer and mobile phone. Kindle books are DRM protected and therefore, unlike ebooks that are in PDF or ePUB format, you cannot read this ebook without the official Kindle apps.